This is the fifth post, after a long time, about infographics of various coast guard vessels from around the world. 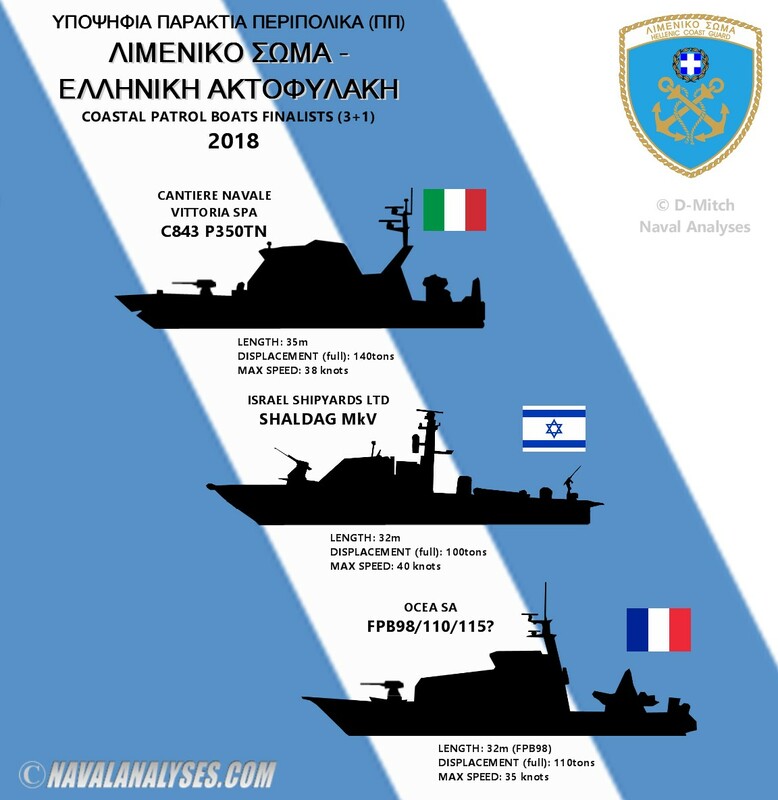 The following infographic is part of an article I wrote together with my friend Davelis, in Greek, for e-Amyna, one of the best online defence magazines in Greece, about the current situation of the Hellenic Coast Guard (Λιμενικό Σώμα) large patrol vessel fleet and the new boats that the Coast Guard might purchase in the near future. The title of the article is "Present and future of the large patrol vessels of the Hellenic Coast Guard". 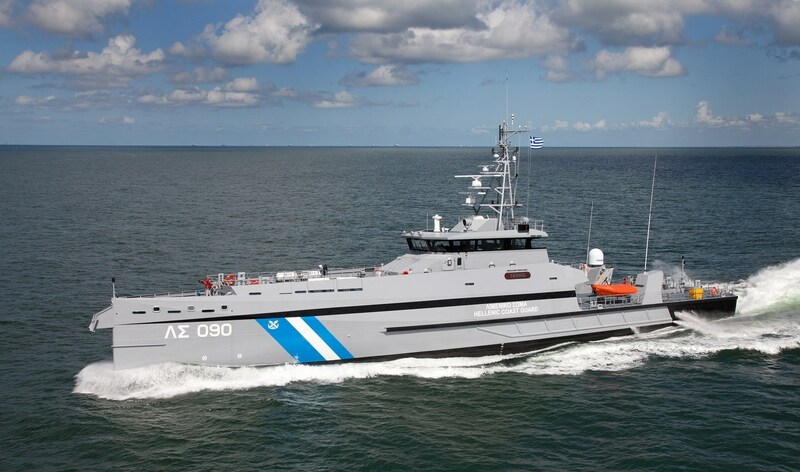 That article briefly summarizes the issues, the needs for new acquisitions, modernization programmes regarding the current fleet as well as and the candidates for the Coast Guard's new competition for 3+1 30-45-meter armed patrol boats. Enjoy the article Παρόν και μέλλον των μεγάλων περιπολικών του Λιμενικού Σώματος! 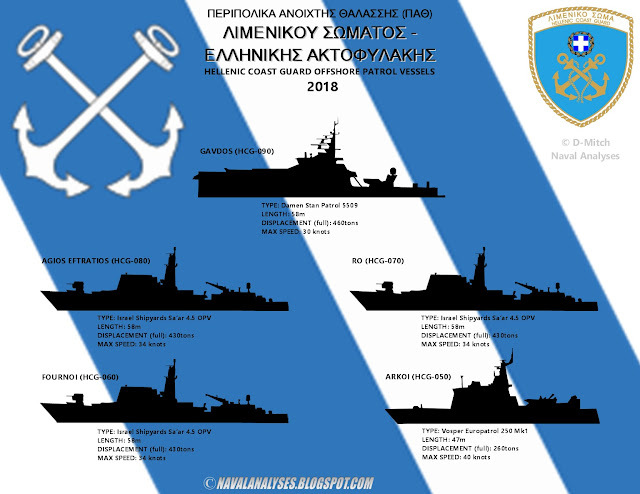 The Hellenic Coast Guard offshore patrol vessels as of January 2018. High resolution image here.